Fishing is a science so it is short-sighted to think that you can drop a line in at any time of the day and get the catch you want. That’s just not the way it works! Fish, just like other forms of wildlife, are prone to certain observable behavioral tendencies and there are best fishing times just like there are best hunting times. 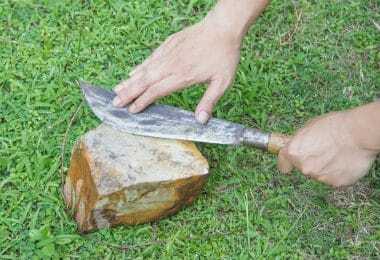 So, if you want to improve your chances of landing a catch, there are things you’ll want to take advantage of. To better your chances of catching a specific fish, you will have to know their patterns of behavior and adapt. Keep in mind: when you take advantage of fish nature you make things easier on yourself. So today we’re going to be discussing some common game fish, the times to go fishing, and conditions for you to catch them. The behavior of fish and your ability as an angler to land them will vary depending on several factors. Below we’ll discuss the most important ones, touching on the several variables as we search for the best time to fish. 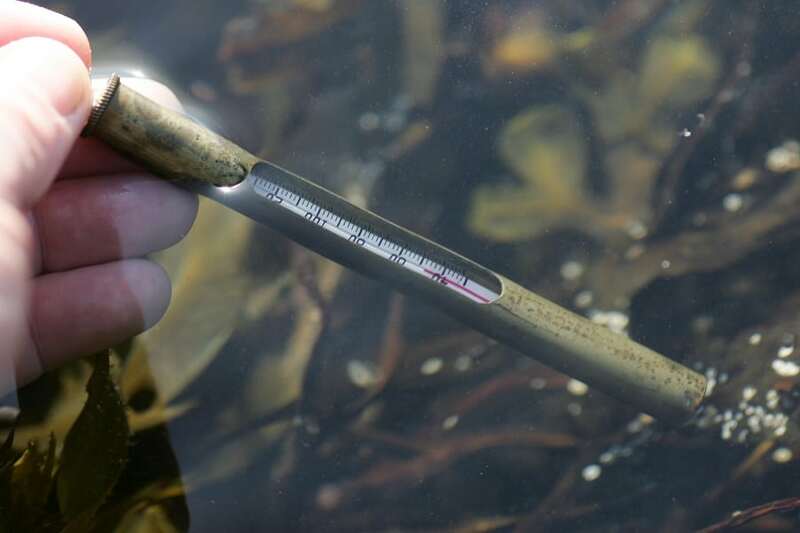 This is critical for the life of fish – survival will largely revolve around the exact temperature of the water. Fish have a certain temperature in which they can survive and beyond these limits, they will die. The temperature will also have a hand in when fish will be breeding the most and eating more, meaning that it has a lot to do with when they are most likely to feed. Fish have a heightened sensitivity to air pressure thus changes in atmospheric pressure contribute to behavioral changes in certain fish. Prior to cold fronts, air pressure falls and as a result air bubbles rise taking with them particles and organisms that are potentially edible to fish. During this period, fish are generally more active and willing to come out and eat. Rain also pushes worms and insects from streams down into larger bodies of water giving fish more to eat. During a cold front or storm, fish may swim lower because of lightning and strong rains but they will still be in a biting mood during these situations. Light rain and overcast weather, on the other hand, can mask your lure and line, making it more discreet. It might be a bit tougher out there for you too if you decide to fish in a storm. The wind is also a factor, especially on lakes. Though it may add a bit of a challenge when casting your line, and maneuvering your boat, wind movement will stir up plankton and other small organisms that fish feed on. Eventually, the wind and water movement will push them to one side of a lake. If you identify this location you will be near a concentration of fish. The moon’s phase affects fish in different ways. Firstly, the moon is the largest source of natural light. This is especially the case during a full moon. During this period when the top of the water is highly visible to predator fish that are hiding deeper, they can be lured into attacking more often. They will clearly see what is right up in the top water, and they aren’t likely to consider any threats, as they will be able to clearly see potential danger. This being said, a full-moon fish out is definitely a good idea. The best time is supposedly 2 hours before or after sundown and 2 hours prior to dawn. Another way the moon affects fish eating habits is through the tide. When fishing in tidal areas, this is a large consideration. When the high tide comes in, fish gain access to feeding areas that they weren’t able to reach prior to this. Predator fish come in too – as the tide ebbs and eventually goes down, fish will be pulled back from those feeding areas (jetties, rock formations, man-made structures, grass patches) into the larger water channel. Predators will also tend to congregate here due to the abundance of prey fish. Now that we’ve gone over a few of the variables that you should be taking into consideration when planning your next fishing trip, let’s discuss specific game fish and the best time to go fishing in each situation. One of the most famous types of game fish to American anglers, the Bass, is always a pleasure to catch. They are viable catches all year round and can make a great meal. They are generally available in freshwater lakes throughout the US. Summertime is probably the most common fishing period for most folks. This is because school’s out, so the family can gather by the lake and spend some time fishing. The weather is also generally pleasant this time of year. 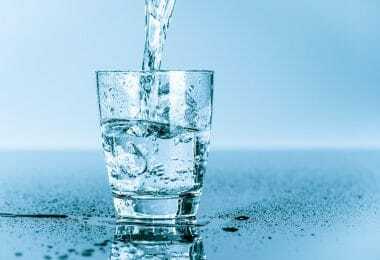 The problem, however, is that water temperature is highest during summer. Especially during peak hours from 9A.M – 3P.M, fish will generally be inactive. The high amount of light from the sun makes fish stay in deeper water and less likely to feed. Also because of the high amount of visibility, they are more vulnerable. This means that your freshwater bass is less likely to catch prey during this period. 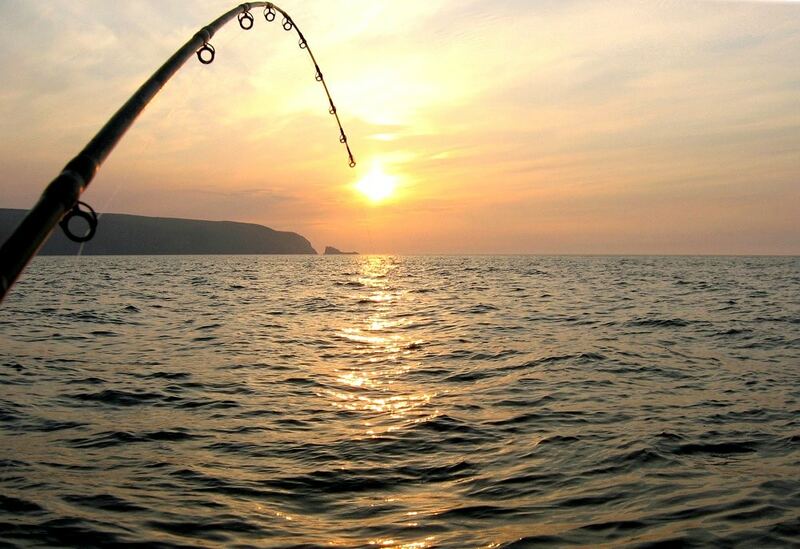 If you intend to land a catch in the summer and aren’t too keen on waking up early, the best fishing time is going to be just as the sun goes down. 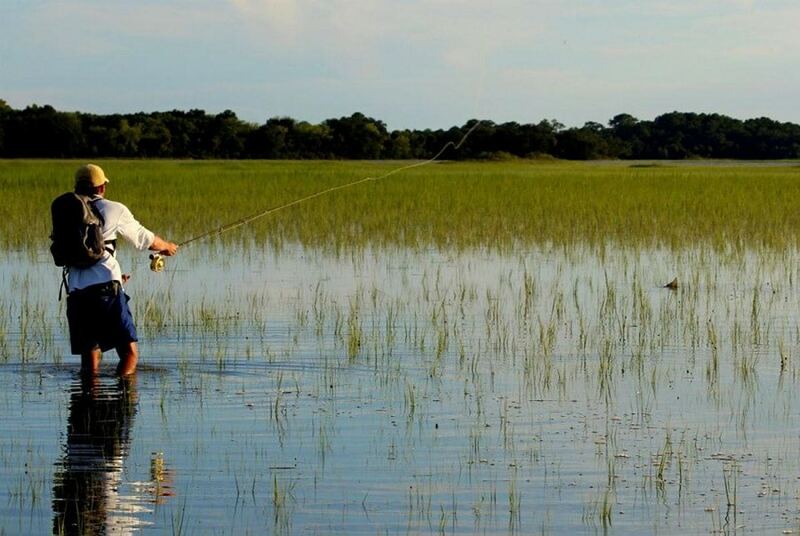 Roughly two hours before sunset, dropping a line into the water can yield potentially good results. Visibility slightly drops, and the lower temperature brings out the bugs and insects that fish feeds on. The bass then becomes more active during this period. 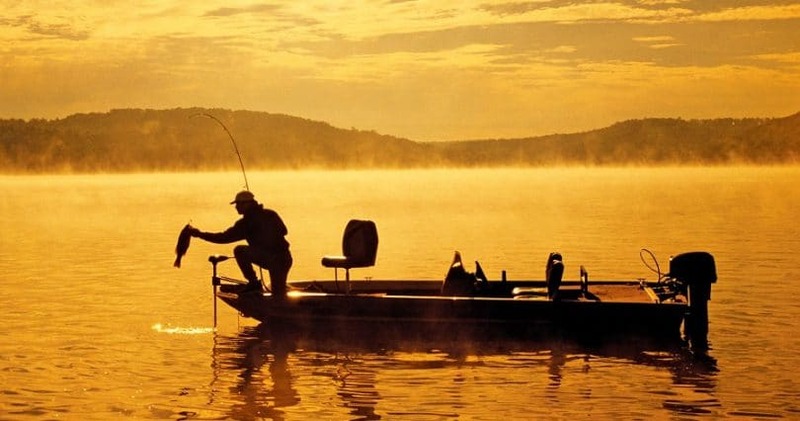 Decide to start your day fishing early on a summer morning and you’re not going to need to venture far. The cool weather will have the bass congregating in shallower areas – jetties and near patches of vegetation are good options. You can consider a buzzbait or walking bait during this time for a good catch. 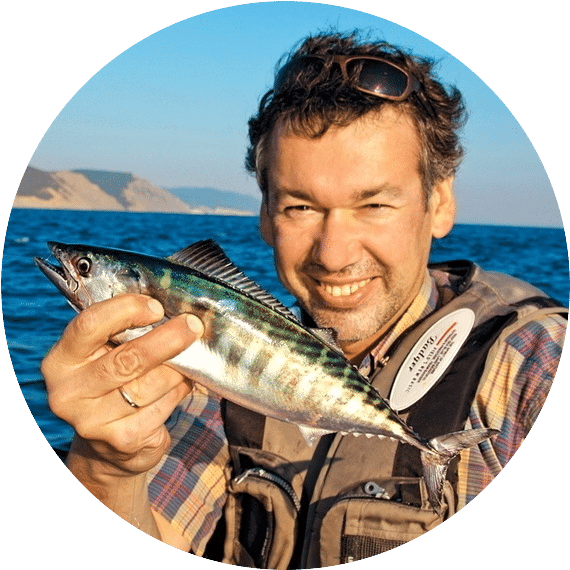 Alternatively, if you’re near a nice deep spot, or have a boat ready to go, you can look for areas where gulls are gathered – there might be baitfish over there. And like the gulls, the bass will probably be gathering there in droves. Jerk baits and top water lures are great options in this scenario. Now, if the sun’s come up and you’re fishing in the summertime heat, you’ll get better chances fishing in deeper water as the heat rises. During this time fish go down deeper into cooler areas. If you can gauge depth a good minimum depth for fishing during hotter periods is at least 15 ft. No less. Larger river channels are also a good option. Deep diving crank baits and large football jigs are good ideas. Bass fishing is a bit different during springtime. Even though it’s not as warm and bright, and probably not the most pleasant time for us to go fishing, it’s most likely to catch larger quantities of bass in the spring. Take note that spring is when bass will spawn hence they will be in spawning areas. Now as opposed to fishing during summer, water temperature during springtime is generally cooler. The ideal time to hunt for bass during spring is in the afternoon. By this time, the water will be heated up and this cranks up bass metabolism – they are more active and are more likely to bite. This means that fish will generally not be concentrated in those larger river channels and deeper bits of water. This time around they will be in spawning areas – these are cooler areas where they are shielded by cover making them less visible to predators. They will be in shallow water, around patches of vegetation, rocky areas, near docks or other structures where they can find cover. 12 feet of water is probably the deepest you’ll want to be searching for bass. Any deeper and it will probably be slim pickings for you. Doing your bass fishing during spring time is really great, and you can potentially catch the most fish during this period. In the cooler mornings, topwater lures will work very well. Spinner and chatter baits are good options for those cloudy or rainy spring days when your lure’s visibility to potential catches are a bit lower. Shaky head lures are better when the temperature is a bit hotter. 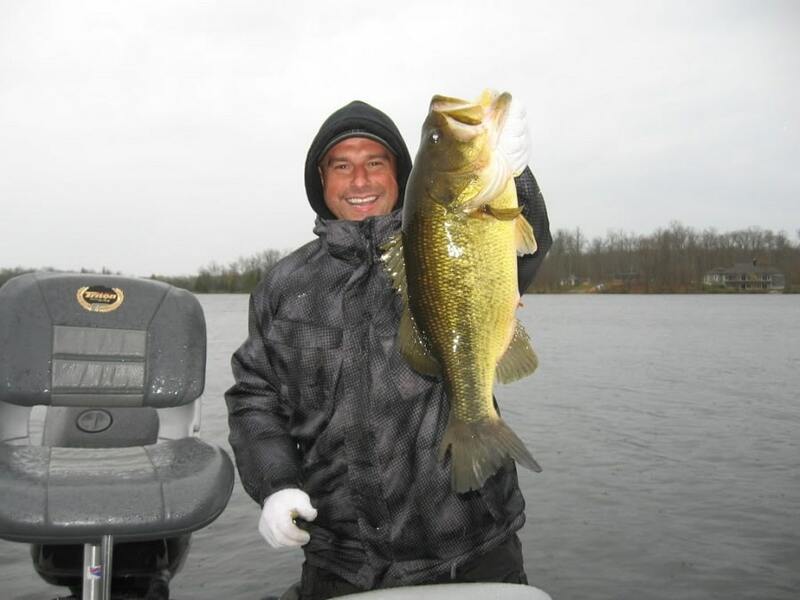 Fall bass fishing isn’t as straightforward as summer or spring. At this point in time, the water temperature will be going down. This time of the year, bass will be settling around the depths that they would be in around summer time. 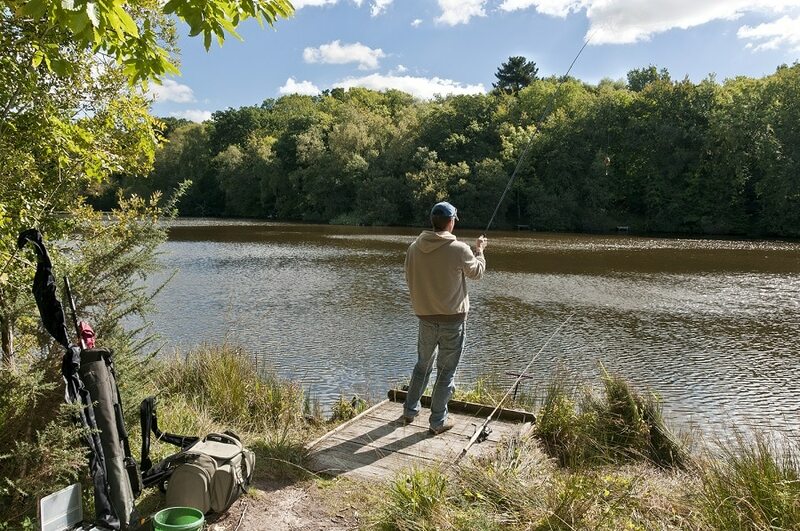 A good area to be fishing would be around 15-25 ft. Varying your depths is a good idea during fall. During autumn, the ideal time to drop your lines would be in the afternoon to early evening, same as spring. The sun is up and heats up water temperature to just the ideal level for the fish to come up and start biting. Bass will be fattening up during this period and will tend to concentrate in areas where the shad are. You can look near creeks for this. If you’re able to spot this, you can consider fishing shallow. Use lures that mimic shad such as spinner and crankbait for maximum effect. As you’d expect, Bass aren’t going to be very active during this period, especially if you’re not situated in the far south. 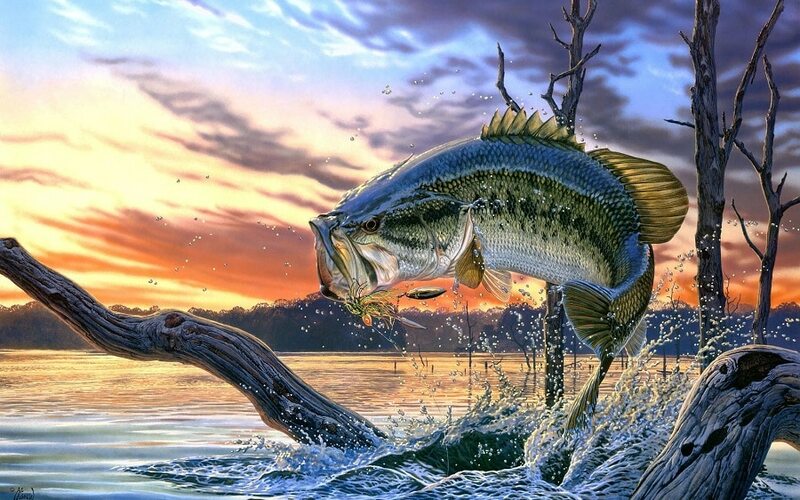 Nature programmed the bass to cope with the dwindling food source during winter by slowing down their metabolisms and lowering the need to feed. With this in mind, doing your bass fishing during the winter isn’t that good an idea. However, if you still intend to go through with this you may be up for fewer catches but bass will be bigger as they have already bulked up in preparation for the winter. You will want to do your fishing during the brightest times of the day. Work your bait very slowly. Bass are less active and are wired to not expend much energy. The easier you make it for the bass, the more likely it will be for them to bite. To keep you informed on the best fishing times, check out our additional tips for your reference. 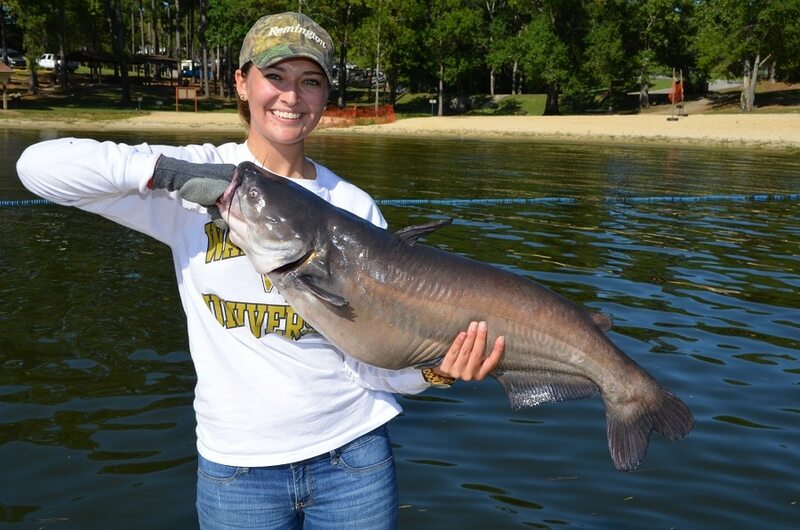 Catfish are among the most popular game fish in the US. They can be found in many freshwater lakes, rivers and streams throughout the states. 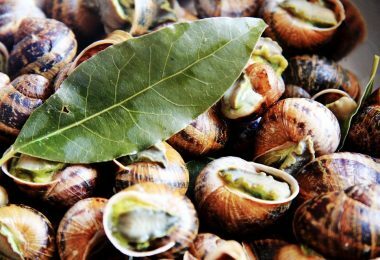 This being said, they can offer a bit of a challenge (some can grow to be pretty huge), but are great grilled or fried for the dinner table. Catfish are a bit different from other fish because of their highly developed olfactory senses. They use the whisker-like protrusions for acquiring taste and smell. With this, they are much more advanced at using these senses than other fish. That being said, their sense of smell is something you will definitely want to take advantage of. Since they are not as dependent on sight for hunting as other fish, a good time to drop your line for catfish will be at night. Generally, catfish are nocturnal. What visibility they can use will be neutralized even more. 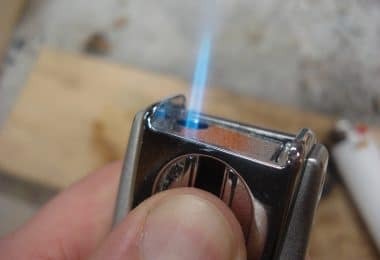 Just be sure to use a nice and strong-smelling bait to entice that advanced sense of smell of theirs. Many anglers will swear by different baits and ideal fishing times, but the general theme is that smelly baits will work wonders. And don’t fret f night fishing isn’t your thing. You will still be able to catch a couple of these bad boys in the daytime. Another consideration is that these predators don’t want to be fighting currents. Hence one of the best times to fish for them is in between tides. Also, given that they aren’t too fond of fighting the tides, you will want to consider casting your line over in areas with cover, where they will not be as affected by the tides. 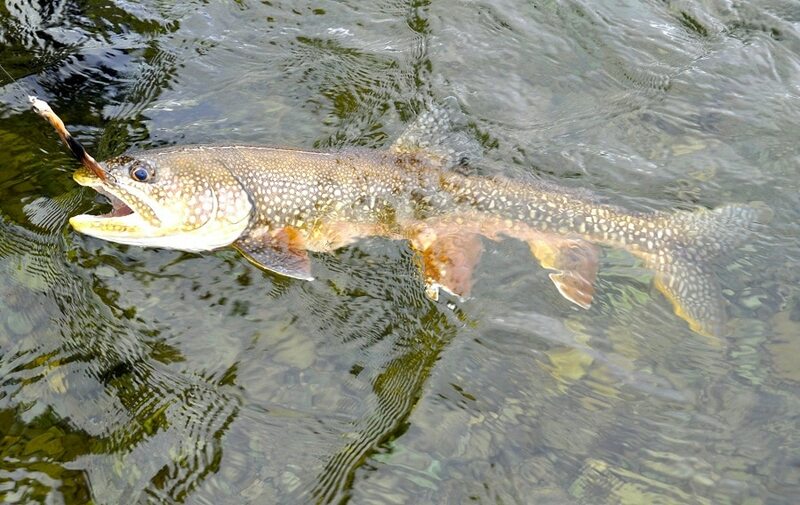 Trout are among the most sought after game fish in America. According to the US Fish and Wildlife Service, they are the 5th most sought after fish by American Anglers. These predators feed on soft invertebrates as well as other fish and are common in clear streams, rivers, and lakes. As with most fish, catching trout can best be accomplished under certain circumstances. The conditions largely revolve around the temperature. How hot or cool it is will be a determining factor in how active the trout will be. The temperature also alters their metabolism, hence also affecting their feeding habits. Lower temperatures will tend to lessen their level of activity. When the temperature is low, and near freezing, your best chances of catching trout will be in the afternoon, from noon until around 3-4pm. The reason for this is that this will be the hottest time of day. Given the low temperatures, this is when they will be moving about. For an expert review of the best trout lures, see our article on this topic for more information. At around 61 degrees Fahrenheit, your best bet will be mid-day from 10am until 2 pm. The temperature is pleasantly cool for us, and the sun will be able to heat up the water by this time. When the temperature is around 82 to 90 degrees Fahrenheit or higher, your best bet is to drop your lines early in the morning. Between 5-7 am is a good bet. The reason for this is that the water gets too hot mid-day. So aside from it being a bit uncomfortable for you as an angler, the fish won’t be in a biting mood either. 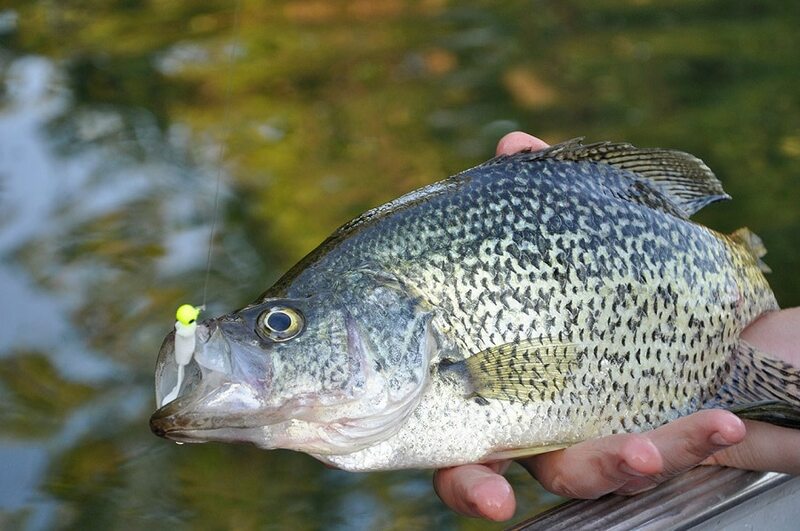 According to the USFWS, Crappie is the second most popular type of game fish among Americans. There are anglers who will swear that crappie is the best tasting among all freshwater fish. These fish will tend to feed on small invertebrates such as plankton, insects, and crustaceans. Crappie has a tendency to bunch up around submerged objects like rocks, logs, and weed beds. So if you intend to drop a line for these guys, your best bet is at these locations. They are noted to have similar feeding patterns to bass. So when you’re out for crappie, a good general rule is to go out in the wee hours of dawn, and a couple of hours before and after sunset. It’s also worth knowing that crappie is great for winter fishing. Unlike other fish that become more frustrating to catch during winter months, crappie is a fare game. During the winter season, it’s ideal to drop your line sometime mid to late afternoon to take advantage of the sun’s effect on the water. So be patient, and slow your presentation down – crappie will generally not be willing to give chase in the cold water. 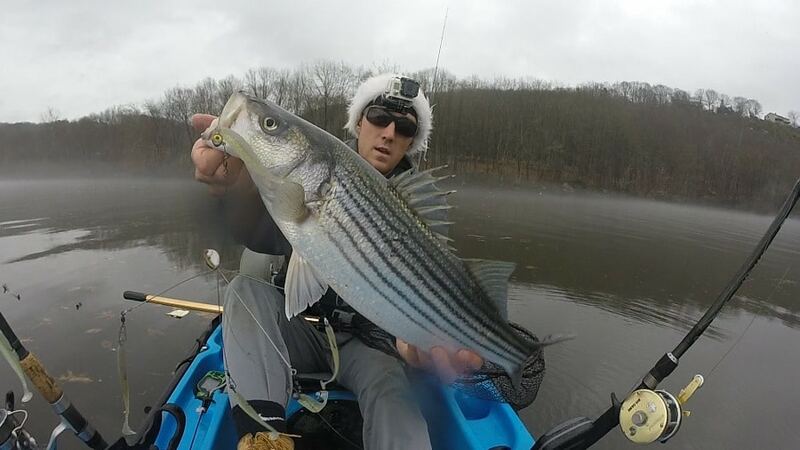 Once you manage to land a catch from a particular spot, you’ll want to check it a few more times, as they tend to bunch up, especially in the cold. These are only a few of the many considerations you’ll be making when fishing for your favorite game fish. There may be a lot of things to keep in mind, but paying attention to the things we’ve listed will definitely help you land those game fish, and bring home a delicious dinner and a great story.